From mountain expeditions and undersea adventures to outer space missions and African safaris, the IMAX format is home to a dazzling array of documentary films, exploring nature and science through larger-than-life visuals. And now directors David Douglas and Drew Fellman continue that storied tradition with an endearing and educational look at Pandas. But while the doc is indeed home to a few beautiful images, emotional moments, and enlightening facts, the overall experience isn't quite as jaw-dropping or memorable as some of IMAX's other more impactful efforts. Primarily focused on one panda's journey from captivity to the wild, the movie follows the lovable Qian Qian and her human companions as they prepare the bear for release into the mountains of Sichuan, China. We begin the tale taking a look at how the captive-born animals are cared for as cubs at the Chengdu Research Base for Giant Panda Breeding, leading to some appropriately adorable footage of the fluffy little creatures feeding, sleeping, and playing. 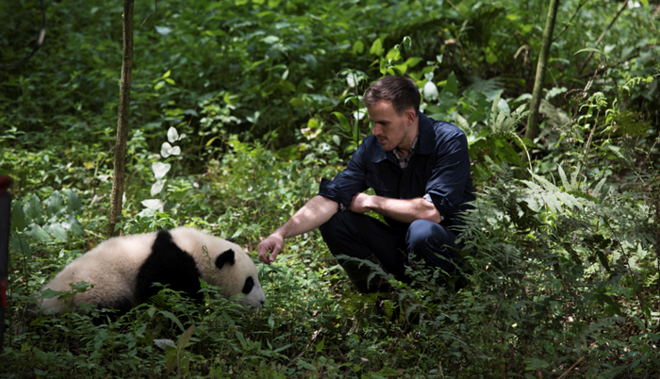 Hoping to eventually set the pandas free, Chengdu researcher Hou Rong travels to America to learn from Ben Kilham, a wildlife rehabilitator who prepares black bear cubs for release back into the wild. With some new tips in tow, Hou then charges biologist Jake Owens with the task of shepherding Qian Qian out of captivity. But despite all the prep work done, the transition isn't all smooth sailing, resulting in one particularly traumatic setback. Throughout the adventure, actress Kristen Bell serves as our narrator, sharing helpful facts about pandas while guiding the documentary narrative along. Likewise, Hou Rong, Ben Kilham, and Jake Ownens also chime in to narrate specific stretches, elaborating on their experiences. With that said, the doc's fairly modest scope and short running time do limit the experience a bit, preventing us from diving too deep into the subject matter. 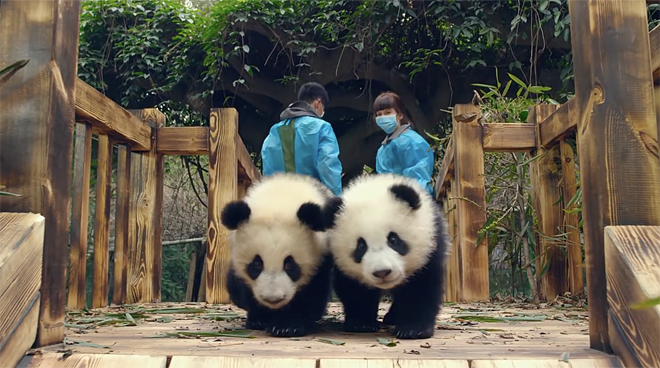 And while we do get a healthy helping of beautiful IMAX footage featuring Qian Qian growing accustom to her new home among the mountains of China, the visuals here just aren't quite as compelling or immersive as some other recent nature documentaries. Some genuine drama crops up during the climax, however, when the researchers fear something may have happened to Qian Qian in the wild. Since the unfortunate incident was unexpected, the subsequent search and rescue mission appears to be documented using lower-grade shooting equipment, but despite the lack of IMAX grandeur, these scenes actually prove to be the film's most emotional and gripping. Short, simple, sweet, and even occasionally harrowing, Pandas presents an engaging yet ultimately fleeting experience. Perfect for families, the heartwarming and educational journey is certainly worth a look, but like most IMAX docs, the brief 40-minute runtime does limit some of the value here. This is probably a title better suited for a rental rather than a purchase, but either way, viewers are likely to enjoy their time with Qian Qian and company. 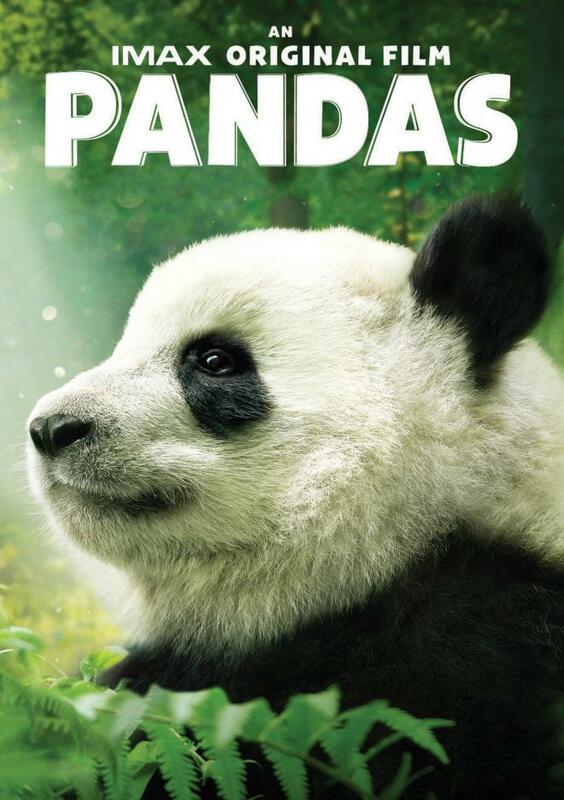 Warner Bros. presents Pandas in 4K digital through a variety of digital retailers in 4K HDR10 and Dolby Digital Plus 5.1 audio as part of the Movies Anywhere ecosystem. The digital copy is available to buy now and digital rentals will launch April 16. Meanwhile, a Best Buy exclusive 4K Ultra HD Blu-ray release will also be available to buy that same day. The digital UHD version reviewed here was redeemed via VUDU where it is listed for a purchase price of $14.99. The 4K Digital release is provided with a 2160p/HEVC-encoded HDR10 transfer in the 1.78:1 aspect ratio -- though a few scenes toward the end of the runtime are shown in a windowboxed fashion with black bars on the top, bottom, and sides of the picture. While the imagery here is often strong, the visuals never quite pack the same punch that other recent nature documentaries offer. According to IMDB, the film was shot using the RED Weapon 8K camera and IMAX 3D-15 Solido (though the 3D version is not available on home video), and the resulting digital source is clean and crisp. I detected some very mild compression and intermittent shimmering, but by and large the 4K stream is stable and free from troublesome artifacts. Overall clarity is strong, making it easy to see fine details in the pandas' fur and intricate textures among the beautiful mountains and forests of China. A sequence set in a market is also particularly striking, offering a great sense of depth. Some indoors sequences, however, do carry a softer look. Meanwhile, the film's use of HDR is relatively restrained but still pleasing. Colors carry a bit more depth compared to the SDR stream with lush greens in forest scenes and vibrant foliage in an aerial shot of New England. Contrast also offers a slightly greater sense of dimension with one shot of the sun above a river offering a bit more detail in highlights. With that said, the material as a whole just doesn't seem to benefit all that much from the increased range, and brightness and primaries just don't pop the same way they do in other HDR nature docs like Planet Earth II or Our Planet. Don't get me wrong, it's not that Pandas doesn't look good in 4K HDR, it's just that some other titles in this genre have managed to raise the bar a little higher. It should also be noted that there's about a four-minute stretch where the picture appears to transition to windowboxed HD material. And while it's understandable that these particular scenes had to be shot with different equipment, the switch is a little jarring. Though it never attains the demo-worthy status that some other wildlife 4K HDR titles reach, Pandas hits digital streaming with a very solid 4K transfer. The audio is presented with an English Dolby Digital Plus 5.1 tack. Filled with an appropriate sense of atmosphere and a few lively music tracks, the audio is mixed quite well, offering a nice complement to the visuals and story. Dialogue and narration are clean and well prioritized with no major issues to report. The soundscape is layered with an engaging amount of ambiance, spreading rustling wind, chirping birds, and other nature effects throughout the forest locations, delicately bringing some welcomed activity to the front and rear soundstage with smooth imaging and directionality. Brief detours to the city and market also carry fitting effects work with background clatter and traffic. And though LFE activity is understandably modest, the film's music selection includes a few rock tracks that provide some extra oomph here and there. I doubt anyone will be using Pandas to show off their new speaker system anytime soon, but the doc features lively design work, leading to a surprisingly enveloping experience. Making Pandas (HD, 3 min) - Available via the Movies Anywhere app, this brief behind-the-scenes featurette includes some quick interview bits with narrator Kristen Bell, the film's co-directors, and researchers. Sadly, though, there's nothing particularly insightful shared here. Engaging, educational, and endearing, Pandas proves to be a worthwhile entry in IMAX's ever-expanding library of documentaries. With that said, the short runtime limits some of the film's overall value and though beautiful, the visuals aren't as impressive as some other IMAX efforts. From a technical standpoint, the 4K HDR10 Digital Copy offers a solid video and audio experience, even if it can't quite reach the demo-worthy status of some other recent nature docs. 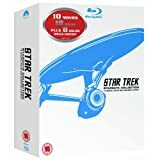 At a current streaming price of $14.99 or a 4K Blu-ray price of $29.99, this might not be worth a purchase, but it's still an enjoyable watch. Give it a Rent.